Good day, everyone. Welcome to the latest edition of Ask the Experts brought to you by Dental Success Today. My name is Kevin Kowalke and I have the privilege once again to be able to tap into the true brilliance and wisdom and experience of Dr. Saadia Mohammed as we discuss what is the best way to create the foundation for a healthy smile for our children. Dr. Saadia is a regular guest on our program. I know many of you have heard her before, but for those of you who are listening for the first time, I’d like to share some of her credentials and her accomplishments. Dr. Saadia has been in private practice since 1998, a fellowship at Yale New Haven Hospital. Dr. Saadia is a board certified pediatric dentist and a member of many, many, many different things including the Academy of Breastfeeding Medicine, American Academy of Pediatric Dentistry, International Association of Tongue Tie Professionals, Academy of Applied Myofunctional Sciences, and the list just continues to go on. All in all, what’s important for all of you to know is we are talking to the person here who is a renowned expert when it comes to nurturing a happy and healthy child. So, Dr. Saadia, welcome to the call! Thank you so much, Kevin. That was a beautiful introduction. I really appreciate this and I’m so excited to be on this call. Well, you deserve it because you have such amazing information to share with people and that’s why we love to have you back. So once again, thank you for giving us some of your time today. I know that you’re very busy and you have a lot of people to attend to, so let’s get to it. Today, I would love to spend some time asking you about several different topics that will build off of the last call that we actually did about raising a happy and healthy child. For this show, I would like to focus on identifying the building blocks to a healthy smile for our children. The first question I’d love for you to answer is what would you recommend a mother pay attention to during the prenatal phase of her pregnancy? I’m so glad you asked that question, Kevin, because the building blocks to a healthy smile start way before the baby ever has teeth or even is in this world. So, one of the biggest things that I have come across that easily gets missed is prenatal nutrition in mothers and most specifically, Vitamin D levels, which surprisingly, even though we’re all out in the sun here in Florida, a lot of people don’t think about Vitamin D. A lot of women are actually low in Vitamin D and Vitamin D is a very interesting thing because it’s not just a vitamin, it’s actually a precursor hormone that sets off a whole cascade of things and, most importantly, it is a building block for teeth. So, very very important for mothers to make sure their Vitamin D levels are checked and are adequate during and even before conception, really. Another big thing, moms these days, all of us these days, are just so stressed out and rushing around and, a lot of times, people don’t think how stress affects things, but managing the mother’s stress and their emotional health is so important for the baby and guess what? Even the baby’s teeth. Many a times, I’ve seen children in my practice and there’ll be a difference between one baby’s teeth and the second sibling’s teeth and when I zero in on everything, it was the level of emotional happiness on the mother that was different. That’s really amazing because I can understand how people would have a hard time really connecting those dots and understanding how just those two components that you talked about can have such an influence on the development of a baby as we’re going through this phase of the pregnancy. I’d love to comment, you know this because we talk all the time, my wife and I, we’re expecting and one of the things I love with the baby center we chose where my wife is going to give birth is they also shared their belief and their importance of Vitamin D and I knew that because you and I have had conversations about that. This is something that I really hope the moms out there are listening to and take ahold of this information and really make it a priority during this phase of their prenatal for the pregnancy because I can only imagine how big it is. So, I appreciate you sharing that information because that will go a long way for people and people listening, share that with everybody you know. This isn’t just about for those of you who are actually at this phase as a soon to be mom, but it’s for everybody you know. Share this great information. Dr. Saadia is giving a wealth of knowledge to you. So, the next question I have for you, Dr. Saadia is, then let’s go on the other side of the pregnancy experience, what should a mom really focus on during the postnatal period? Wonderful. I’m so glad you asked that question and I’m going to tie it right back into your previous comment about the birthing center. Not everyone chooses to go and have the baby at a birthing center, but more and more people are opting for that choice and I’m really happy to hear that because birthing centers, midwives, are really honing in on the holistic care. They’re just making it a happy healthy environment around the birth. Surprisingly, in medicine, we don’t really talk about it that much but now people are starting to have a conversation around birth traumas. So, what is birth trauma? Well, sometimes just the anxiety of going to the hospital and going through a C-section, it’s scary for a lot of moms. So, what birthing centers interestingly are doing is just changing that from fear to just a love-infused environment and just that entry into the world of the baby in a love-infused environment versus fear-based environment makes a world of difference. C-sections versus natural delivery, this is not just on an emotional level, there are research and studies that show the natural delivery of a baby will help with the microbiome and it is so vital for their healthiness. As the baby comes through the natural birth canal, they get the healthy microbiomes from the mother which is so important for a healthy life to the extent that sometimes these research centers and hospitals are talking about swabbing the baby’s mouth with the natural fluids. It’s kind of interesting. Another really big thing is breastfeeding. Again, going back to microbiomes, as human beings, we are more microbiomes than we are human cells and it’s only natural to understand that if our healthy microbiome is not in balance, we’re going to have a lot of problems and right at the onset. Birth, as they come through the birth canal, breastfeeding, these are all normal natural things which will help the gut bacteria, the mouth bacteria, and set a child up for a life of healthiness. When the gut bacteria, which the gut starts from the mouth, that’s why I’m talking about all of this because some people will think, “Why on earth is she talking about all of this stuff when it has nothing to do with teeth?” Actually, it has to do with teeth so much. If you don’t set the stage for overall healthiness, then you’re going to run into problems. So, normal healthy bacteria in the mouth, good balance of the bacteria, letting the baby latch on and nurse healthily, all of those functions will translate into a happy healthy mouth. I’m always so fascinated to hear as you describe this, because it really makes sense. I believe that there’s so many people out there who truly don’t understand the origin of many things regarding health and development and all that, so I can’t tell you how much I very much appreciate you sharing this information with people. So valuable. Our audience, I know they love it because we get great feedback on it. I know I ask you this on a regular basis, Doctor, so don’t be upset at me, but I don’t think we can reinforce this point enough, when do you recommend a child have his or her first dental visit? I recommend we see babies and children by their first birthday or by the time the first tooth has come in. We actually have a really cool YouTube video on this topic too. Some people will think, what on earth is a child going to do when they have only one tooth? Well, just like you go to the pediatrician for a well check, that’s where I want them, in my office to lay the foundation for all the happy healthy things, so we can set them up for a lifetime of healthy smiles. We’ll talk to the parents about oral hygiene instructions. What should a parent do? Well, the parent should start wiping the mouth of the baby even before a tooth comes in and you can use just a piece of gauze impregnated with some Xylitol which is a natural sugar alternative and you just soak it in there and there’s actually something called Spiffies which is available already premade and prepackaged on the market and it’s made by a pediatrician. You can start wiping the mouth down after every single nursing and feeding. It gets the habit of you putting something into their mouth to clean their mouth and it decreases a lot of the fighting that happens eventually. As a tooth comes in, you want to start putting in non-fluoride toothpaste because you don’t want to worry about the child swallowing it. You also want to look at ingredients of what is in that toothpaste. A lot of baby toothpastes have a lot of junk in them and they’re pointless, but a nice good natural toothpaste with some Xylitol in it would be awesome and then you don’t have to worry about the child having to swallow fluoride toothpaste because non-fluoride toothpaste is really important until a child is able to spit the excess out. What else do we cover in the first dental visit? Oh, a lot of parents are always always concerned about, “My child has a pacifier. My child has a thumb sucking habit. What do I do?” Those are all things that we address during the first visit, what to do. What are the tethered oral tissues that are maybe present in a child that are causing this child to have a thumb habit? Maybe they’re having airway issues because of the tethered oral tissues and that is leading to a much more introverted child and they’re having problems with that. Maybe they’re snoring. You don’t think that would affect teeth. If a child is snoring constantly, they’re breathing through their mouth, they’re drying their mouth out, and they’re going to end up with a lot more chance of having cavities. Some children are just having a lot of food aversions. They won’t eat certain things, so parents just succumb a lot of times and give them whatever they want. End result, we’ve got cavities. 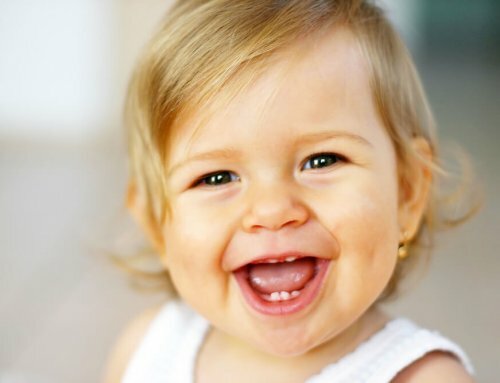 So, the first dental visit when it happens by the child’s first birthday or by the first tooth appearing in the mouth, which is a great time, we can talk all about these things and actually truly present them and set this baby up for a lifetime of happy and healthy smiles. I love that because what do we all want? We want babies and ultimately our children to have wonderful dental health, beautiful smiles. It’s a huge priority for everybody. So, great information and for everybody, I hope you’re taking notes on this because this is so invaluable and this is a very natural transition for us right now, doctor, to go into nutrition for our children. So, what would you recommend for healthy snacks, as an example, and like a side note here is, do you recommend that we give our children juice and what about people who have a very specific type of diet that they follow as adults? If you wouldn’t mind talking about those few topics, I believe we could give a lot of valuable information to people so they make sure they’re giving their children the right food items. That’s okay. You’re making good points, Doctor. So yes, the other thing you asked about was specific kind of diets. We have a lot of clients that are exclusively vegan or some are vegetarian, some are paleo. We have so many wonderful healthy approaches to diet and that’s wonderful for adults but when it comes to children, if they are going to have a limited kind of focused diet like a vegan diet or something, it is even more important to make sure the child is getting a complete round of the building blocks for their body and their teeth, so enough calcium, especially in vegan diets. Some people say they will get them through x, y, and z food product and that’s fine. Just make sure you’re not neglecting the basic blocks of calcium, phosphate, Vitamin K, Vitamin A, Vitamin D, all the basic things. They all play a role in the initial structures of the tooth. I get really excited about that. You’re right, we passed over it, so please, yeah, give some recommendations. That’s a big one because toddlers are constantly snacking and for ease of use, parents a lot of times are giving them packaged snacks. Any time people are opening a packet, it’s a processed snack. Any time it’s a processed snack, no matter how healthy it appears to be, it is going to be more acidic. The more acidic something is, the more cavity-promoting it is. So, whole foods, whole fruits, cheese, even though that does come packaged, those are the kind of things that will not promote cavities. Cookies and crackers and chips, those are all very cavity-promoting, especially once the teeth have already arrived in the mouth. Big no-no on my snack list for babies and children are dry cheerios, dry raisins. Even though they sound like they’re healthy, teeth-wise, majorly cavity-promoting. Gummy vitamins, no, no, no. Again, healthy fruit, fruit sticks, veggie sticks, not the chips, actual vegetable sticks, and just whole fruit. The more fibrous something is, the more you’re likely to cleanse it from the mouth and it won’t stay around and cause cavities and, of course, I understand children do have cookies and crackers, all those things. If you can follow it up with a little bit of fruit or salad, that will naturally cleanse the mouth too, so that stuff is not lingering around, because it takes time to get a cavity and the more food sticks around, the more chances you have of having a cavity. So, fibrous fruits, cheese, good snacks. I love it. I’m glad we circled back to that because I know you and I, we can sometimes get caught up and get very excited about a particular topic. [Laughter] I’m glad we circled back to the snacks and what great recommendations. Of course, if we introduce that to our children at a very early stage, that’s what they know and they get used to and so it takes a little bit of time obviously to prepare that and have them accessible because I know a lot of times parents, and I have friends who are this way and my brother and sister probably were this way when they were raising their kids, they did it out of convenience and just something quick, so to speak. 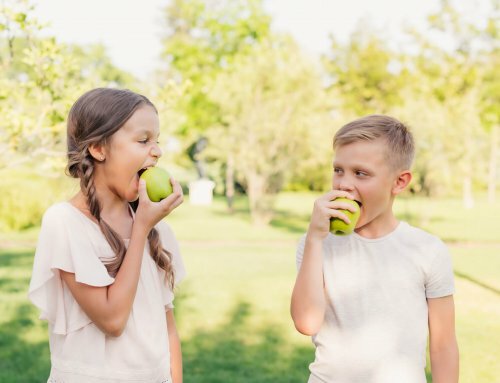 Even though as you say, it may look nutritious, they may look to be okay and healthy, we don’t understand the breakdown of everything and what impact is had on the mouth of our children. Dr. Saadia, thank you for that. You are most welcome. I just get so passionate about this because day in and day out, I have parents sitting there literally in tears because their kid got cavities. There’s a huge emotional component for parents because they feel like it’s a failure on their part and it’s a huge financial burden. Absolutely. Well, you’re doing such a wonderful service to the community of people that not only you serve, but anybody like ourselves who have an audience and people who are listening, where you’re sharing this information because, let’s face it, education is key and the more we can push this content out and the more that we can push your experience and your expertise out to people so that they make really good decisions for their children, the better off that we’re going to be in general as a community of people. So, that’s why I always thank you and I just continue to thank you because what you’re doing is such a service to those who listen and so I know that we’re pressed for time because you have a busy day like always and you’ve got people to take care of, so we want to make sure we get you there. So, the last topic that I would love for you to comment on is, what are your recommendations with regards to trauma prevention for our children? What do you suggest we pay attention to and take into consideration at the house when we’re raising our kids? That is one of the reasons, a lot of times, I end up meeting babies or toddlers for the first time, because they fell and they smashed their face. Babies, just by their anatomy, their heads are big, they’re learning to walk, they love to explore and they get into areas where they’re not supposed to be and they fall and hurt themselves. The first thing that usually ends up breaking is their teeth. So, baby-proofing the house by getting rid of those beautiful glass coffee tables, making sure that baby is actually barefoot when they’re walking around in the house, because babies are still not very stable, toddlers, babies. They’re learning how to walk and they’re not very stable. So, they need as much contact from their feet to the floor as they can possibly have. Don’t put them in Crocs. Crocs tend to be very sticky shoes and they are very very prone to falling and hurting themselves when they’re in Crocs. Tile flooring, which is so common down here in Florida, is one of the big reasons I end up seeing children. They will be on the tile floor especially during wintertime, they’ll have little socks on and shoes on, and they’ll go slip-sliding head first and do a faceplant on the tile floor. Teeth and tile, when they meet, it’s always the tile that wins. So, baby-proofing the house, barefoot versus shoes, making sure you get rid of all those glass tables or put a nice big bumper on them and just common sense things. Don’t let the baby out of your sight when they’re learning how to walk especially. Toddlers tend to be very very curious. Oh yes, we are so excited for your book. That’s going to be awesome. I thank you again for taking the time to do that because I know what it takes to write a book and, oh my gosh, it’s very time intensive and it can also be a really stressful project because you want to make sure that you’re giving really high quality information in a way that’s easily consumable. We appreciate your commitment to that and, of course, as soon as that’s ready, you know we’re going to be talking about it, Dr. Saadia. Thank you so much again for being here and I want to thank everybody who’s been listening in on the latest edition of Ask the Experts brought to you by Dental Success Today. Dr. Saadia would love to hear from any of you who have a thought, a question, whatever, on today’s subject or if there’s anything else related to raising a happy and healthy child. As you can tell, Dr. Saadia is very nice, very forthcoming, and willing to help. That is part of her mission here on this planet earth. The best place to go and find out more information and also to follow the work and the experiences of Dr. Saadia and her patients and everybody who is surrounded by her, you can go to the practice Facebook page which is, of course, Facebook.com/DrSaadia1. You can also, if you would like, submit questions to contact@www.pbpdcares.com. Also, if you would like to just call her office, which I would highly encourage you to do, and schedule an appointment to go see Dr. Saadia, please call her and her team at (561) 477-3535. Dr. Saadia, thank you once again for your time today. It was an absolute pleasure as always, Kevin, and I thank you. Well, you’re welcome. Everybody listening in, until our next edition of Ask the Experts.